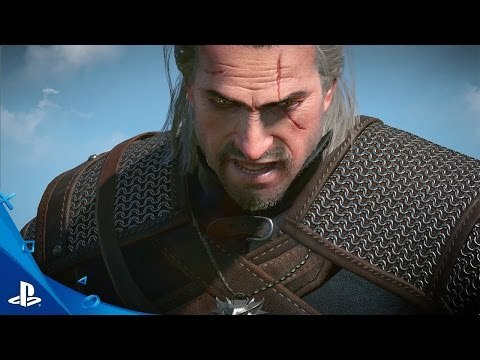 The Witcher 3: Wild Hunt es un RPG de mundo abierto que incluye una fantasía oscura y no lineal, y que se enfoca en una historia que gira en torno a los personajes, a las elecciones del jugador, al combate táctico y a un mundo lleno de vida. The Witcher: Wild Hunt is a story-driven, next-generation open world role-playing game set in a visually stunning fantasy universe full of meaningful choices and impactful consequences. In The Witcher you play as the professional monster hunter, Geralt of Rivia, tasked with finding a child of prophecy in a vast open world rich with merchant cities, mysterious islands, dangerous mountain passes and forgotten caverns to explore. Trained from early childhood and mutated to gain superhuman skills, strength and reflexes, witchers are a distrusted counterbalance to the monster-infested world in which they live. Gruesomely destroy foes as a professional monster hunter armed with a range of upgradeable weapons, mutating potions and combat magic. Hunt down a wide range of exotic monsters from savage beasts prowling the mountain passes to cunning supernatural predators lurking in the shadows of densely populated towns. Invest your rewards to upgrade your weaponry and buy custom armour, or spend them away in horse races, card games, fist fighting, and other pleasures the night brings. Built for endless adventure, the massive open world of The Witcher sets new standards in terms of size, depth and complexity. Traverse a fantastical open world: explore forgotten ruins, caves and shipwrecks, trade with merchants and dwarven smiths in cities, and hunt across the open plains, mountains and seas. Deal with treasonous generals, devious witches and corrupt royalty to provide dark and dangerous services. Make choices that go beyond good & evil, and face their far-reaching consequences. Take on the most important contract to track down the child of prophecy, a key to save or destroy this world. In times of war, chase down the child of prophecy, a living weapon of power, foretold by ancient elven legends. Struggle against ferocious rulers, spirits of the wilds and even a threat from beyond the veil – all hell-bent on controlling this world. Define your destiny in a world that may not be worth saving. The Witcher® is a trademark of CD Projekt S.A. The Witcher game© CD Projekt S.A. All rights reserved. The Witcher game is based on a novel by Andrzej Sapkowski. All other copyrights and trademarks are the property of their respective owners.